Press SampleMonday I had the day off work and decided to use my single opportunity for spare time as a chance to scratch a few things off of my to do list. "What's on the menu this time," you ponder? Layla Caviar Effect! I was going for something more form than function and I'm pretty sure I can't get any more to that point than these nails! After I applied my usual layer of base coat, I went on to use this Cute Polish Water Spotted tutorial to apply Layla Ceramic Effect CE 39. 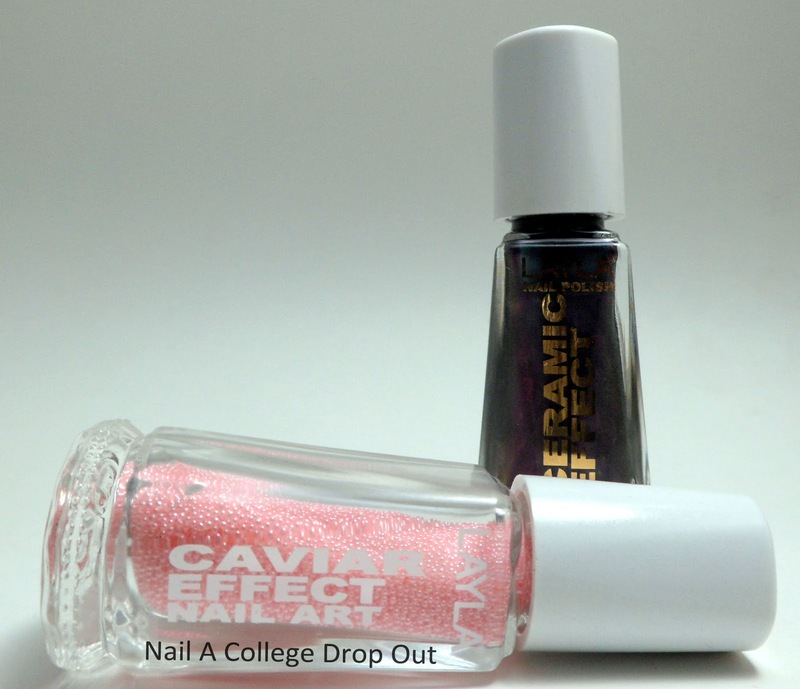 Next, I randomly painted on a clear top coat to get the caviar beads, Layla Caviar Effect Perfect Pink, to stick. To get a more 3D look I dabbed on more top coat to apply more caviar beads once to original layer dried. Layla Caviar Effect is available at Aveyou.com/Zappos.com and retails for $10.50. FYI Layla Caviar Effect comes in 12 shades. P.S. I promise I'll have something pretty and wearable up tomorrow. Do these 3D nails make you DTF? Get it? DTF is to Jersey Shore; as Layla is to actual Italian. Corny, I know. Ok the first that popped into my mind was abstract poodle manicure. I love this and the color combo is sooooooo fun!